No one can deny the importance of having a great digital marketer on the team. She can make or break a great product. 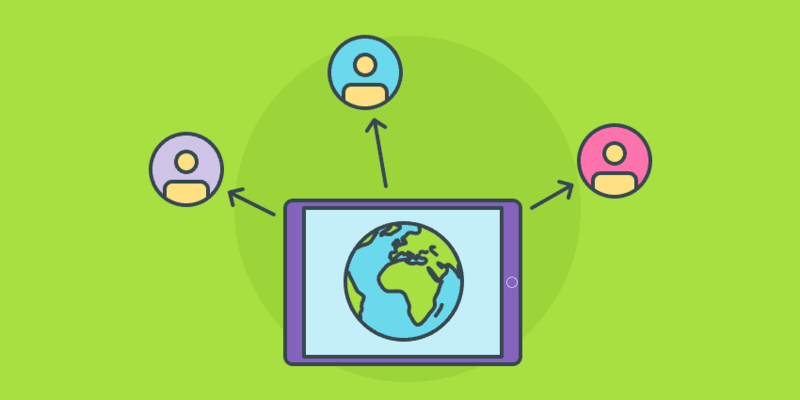 This is particularly vital for businesses running with remote teams. Finding the best fitting remote marketer for one’s project is not, however, an easy task. It takes time, effort, and cost, which might turn into quite a challenge for some. With the current state of the internet, a gazillion remote marketers are available within a few clicks on your computer. However, their abilities and experience vary tremendously. Traditional marketing is somewhat straightforward. But when it comes to digital marketers, the set of skills and previous experience can be quite different. Going through the job applications might prove to be very time-consuming and confusing. Fear not, though! We will walk you through each step of the process for hiring a remote marketer, where and how to find the best talent for your team, and how to interview and manage. Many managers out there think that hiring a good remote marketer is all about amassing a big pile of job applications and picking up only the best self-presenting candidates. This, however, is not how one finds the best remote marketer. There is way more to it than that. The process of how you hire your remote marketer will define the job done by her afterward. This process includes a variety of steps, which start with you preparing the team for the job opening, crafting a great job description, investing time and effort in the applications’ review, and timely and well-thought communication. As you can see, it is not a simple task that one can do with minimal investment. But you will see that, if done properly, it does pay off. Free Bonus: All the resources mentioned in this post for finding a remote marketer are wrapped in one place for you: Get them right here. How to Filter Applications And Identify Top Remote Marketers? Hiring a remote marketer should never start with writing the job description. Before getting to that point, you should take the time to prepare yourself and the team for the hiring process laying ahead of you. Why is this preparation important? This first step lays down the basis of you finding the best remote marketer. A careful consideration before you start the hiring process will increase tremendously your chances of finding the most suitable person for your team. Discussing with your team the skills this remote marketer should possess, will add even more value to the decision. Team members might offer something you haven’t thought of. This first step lays down the basis of you finding the best remote marketer. A careful consideration of the skillset you are looking for will ensure a positive outcome. It would be even more beneficial if other members of the team are also involved in this first stage. This will help you get a clearer picture of the type of remote marketer needed. Is Your Team Ready to Hire a Remote Marketer? Hiring a remote marketer has to make business sense, right? You don’t want to start the hiring process and realize halfway through that for some reason you and your team are not ready. If you have just started your startup journey and you don’t even have an MVP (Minimum Viable Product), it probably does not make much sense to invest in bringing in a remote marketer just yet. Or if you are still not sure exactly what kind of remote marketer you need – traditional or digital, and if digital – all-rounder or specialist in a particular field. Is my product/service ready for launch? Or do I need a remote marketer for an already launched product? Is my product/service development at the stage of needing a marketing person? Is my marketing focus offline or online based? Do I need a growth hacker? (Someone that will grow my traffic, awareness or build audience/customers for my product or service? Do I need a remote marketer specializing in analytics and specializing on User/Customer Experience? Do I need a social media marketing manager? (Someone to own my company’s social media strategy and execution? Do I need someone with an established experience in mobile app marketing? Who will the remote marketer work closely with on my team? Can I facilitate a proper communication channel for them? Can I actually afford a new member of the team? The above are just examples to help you get started. Establishing the ballpark and benchmarking against your growth phase will save you possible headaches ahead, your time and effort. Do You Really Need a Remote Marketer? Figuring out whether you really need a remote marketer is probably one of the most important questions you can ask yourself, once the thought of hiring one crosses your mind. The answer lies with two sub-questions – why and what? Why do you need a remote marketer? – Lay down the challenges you are facing and how the remote marketer can help you tackle them successfully. Take a moment to contemplate the possibility of hiring a freelancer on a short-term basis, if your projects do not require that much time. Or see if anyone else on the current team can successfully undertake these duties. What do I need the remote marketer to do? – Make a list of all the projects and actions you envision the remote marketer working on. Outline the expected time this work will take her, workload, and whether she needs to be exclusively working with you. The latter is related to the compensation, so do not skip it. But most importantly, think of the benefits of having a remote marketer on the team and be sure to communicate them to all the members. Many think that the answers to the above questions come naturally and might slow them down in the hiring process. However, doing your homework properly will make hiring a new team member much easier and smoother. Naturally, you have to think about other aspects as well. For that reason, use this spreadsheet (it’s part of the resources bundle that come along with this post) and tailor it to your needs. Feel free to add more questions that are relevant to your business. 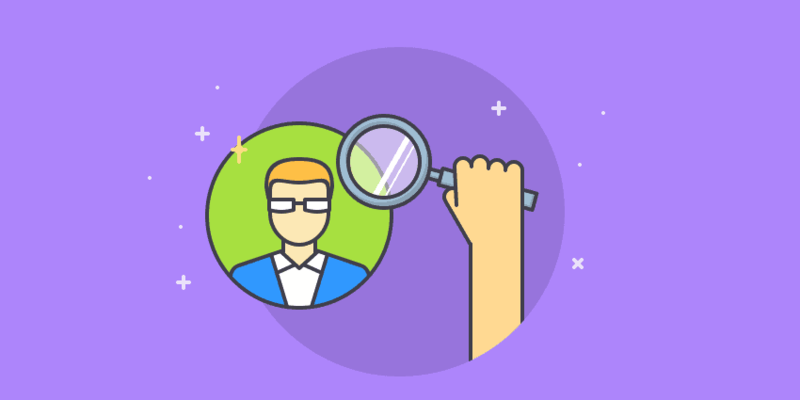 Apart from allowing you to fully consider why you need a remote marketer, these questions, and their answers can later serve as a reference whenever you need to do a fast check during the hiring process. Now that you have settled that you need a remote marketer and can afford one, the next step is to determine the qualities of the remote marketer. The type of skill set and experience will allow you to write an excellent job ad. Remote marketers are a completely different breed from the in-house ones. Apart from the knowledge and skills, the former have to possess an additional set of soft skills. Make no mistake, working in one office with everyone on the team being a few meters away is much different than working at home and skyping or emailing the team member whenever you need them. Independence – being on your own at home or in a co-working space provides enough distractions from the job. Also, they should not require help or clarifications about every step they make. Motivation – being able to spend hours in front of a computer without the need to be monitored or encouraged by other team members is a requirement for a remote marketer. Meeting deadlines and ensuring high-quality output should be embedded in that individual. Thoroughness – given that the remote marketer works…well, remotely, she needs to be thorough while completing projects and tasks. A good dose of self-criticism will ensure doing a good job. Attention to detail – another critical trait in a remote marketer. There is no one around to check her ongoing work. This means that paying extra attention while working is a must. Time management – the successful completion of many projects is dependent on more than one team member. The remote marketer should be able to plan and execute, taking into account the needs and schedules of co-workers and be able to hit deadlines consistently. Self-starter – this does not mean getting out of bed and turning on the computer, but possessing initiative and recognizing opportunities. Acting on the latter differentiates a great remote marketer from an average one. A CV will not normally show you these soft skills and characteristics in a candidate. However, there are a number of questions you can ask during an interview in order to determine how the applicant benchmarks against them. On the other hand, a digital marketers’ core skillset and knowledge are identifiable in her CV. And through additional questions, you can dig deeper and learn more about her abilities and experience. The digital marketing field is rather large and it is growing every day with new ways, channels, and practices. Based on your product or service, you will be able to identify the main digital marketing channels and services you need your remote marketer to be good at. If you are just starting your business, you will need a growth hacker, someone very good at building an audience and brand and product awareness. Or if you are building an app, you will need a remote marketer well-versed in advertising and optimization for mobile app stores, Google Adwords, and analytics. You might be searching for someone, who is very good with crafting exceptional blog or advertising content. Core competence in digital marketing is strictly related to previous experiences. Usually, a manager would be able to identify them while going through the applicant’s CV. In the Interviewing Remote Marketers section of this post, I will go through the possible ways to learn even more about the background of the candidate. Nowadays it is easier than ever to find everyone and everything online. You just need to know where to look for it. The same goes for remote marketers. If they are good, you will be able to locate them on remote job platforms, social media, and Google. Naturally, this approach requires some investment of time and effort on your part. But this is the way for you to bring the best remote marketer to your team. The beauty about these platforms and websites is that most remote marketers are advertising themselves there. I would suggest you start looking at one of the following places. 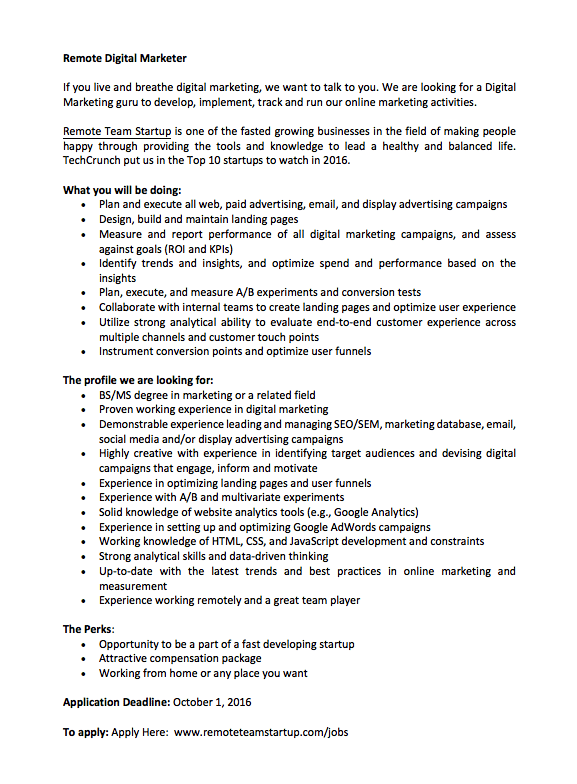 Toptal, formerly known as SKILLBRIDGE, is a top-tier consultancy job board platform. Here you can find top consulting, freelance and remote marketing talent. The participation on this platform is setting a rather high entry barrier to freelancers and consultants trying to ensure that only the top 3% are able to get in. 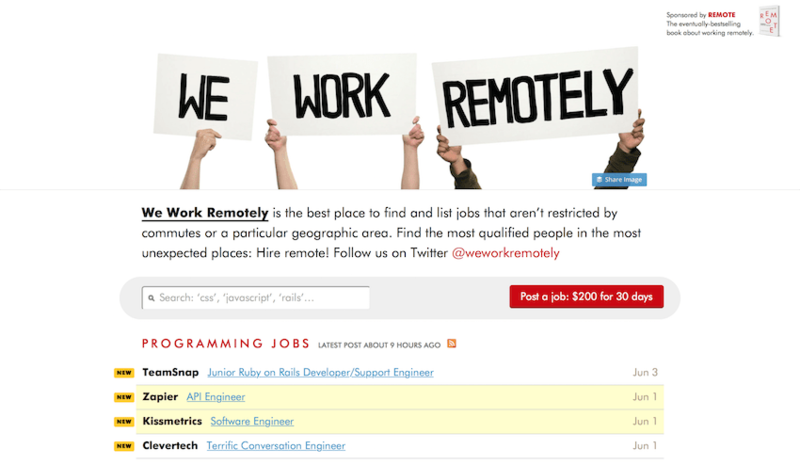 We Work Remotely is a job board provided 37Signals, the company behind the remote project management tool Basecamp. Their purpose of existence is exactly what you are looking for – a place where you can post your job ad and find a remote marketer. It will cost you $200 for 30 days’ display. fiverr is more on the micro level remote marketing work, meaning that you can go project by project with a freelancer. This can be a PPC campaign on Google Adwords, a social ad or even an SEO strategy for your blog. The great thing about this is that it allows you to try a remote marketer and later on, if you are happy with her work, to hire her on a regular remote work basis. 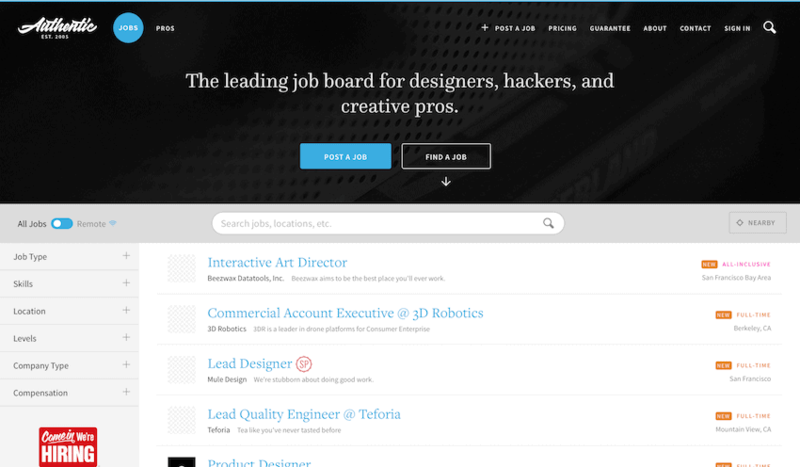 Authentic is a great job board for remote designers, hackers, and creative pros. There are also jobs for remote marketers featured. 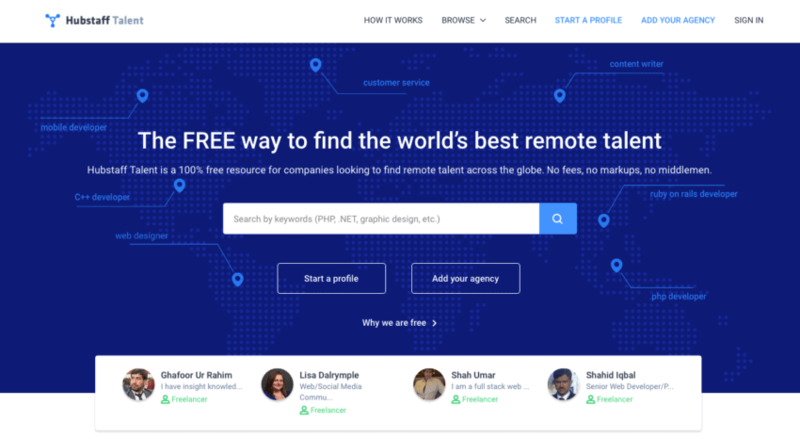 Additionally, a Pro directory features the profiles of remote workers you can browse through. Posting a remote marketer job ad there will cost you $150 for 30 days. Guru offers a huge freelance pool of talent in a variety of categories, including remote marketers. You will be able to view previous work done by potential candidates. You can also post a job there for free. 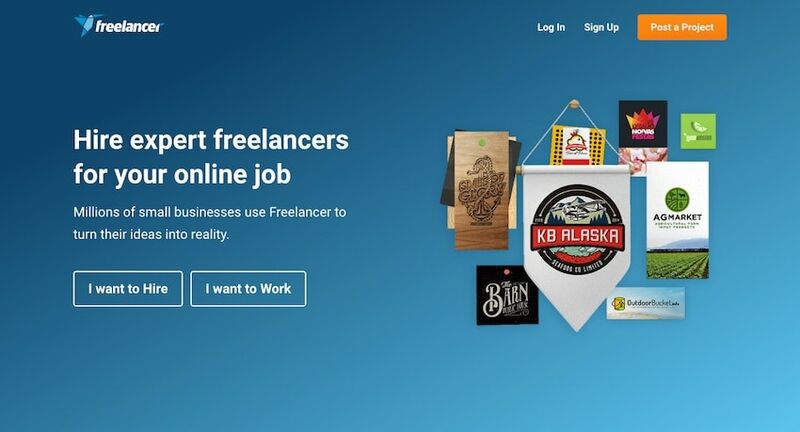 Freelancer is a platform aiming to connect small businesses with a variety of remote work talent. 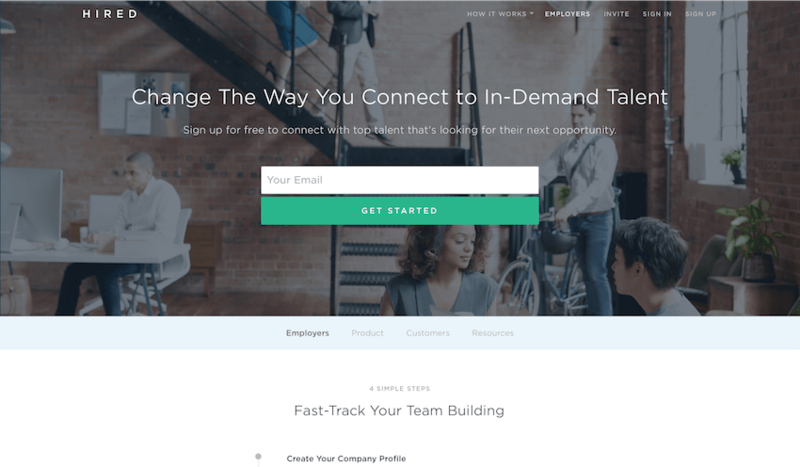 You can post a job and watch how remote marketers bid on it. This is also a great platform to first try and then hire remote marketers. themuse is a job board offering all types of employment, including remote work. It allows you to create a company profile to go with your job posting. This way the candidates can research your business entity on the spot before applying for the remote marketer position. Companies like Slack, HBO, Gap Inc., and HBO are using it. Job posting should be done in a careful and well thought manner. Your goal is to attract the best remote marketers who could be interested in joining your team. There is a fine line between too little and too much information in the job ad. On one hand, you want to give enough description of the job, but on the other, you don’t want to confuse the digital marketers reading it. Craft an informative and appealing job ad. Describe the position at hand thinking of how the remote marketer will read and understand it. Be sure to provide enough company details for the applicant to be able to do a background check – website, a short introduction, etc. Mention the compensation and benefits (if there are any). Start with a short introduction of your company and business. Describe the experience, qualities, and the skillset you are looking for in the right candidate. Write down what the hired remote marketer will get as a compensation. Add an ideal start date or deadline for the application. Social media channels, blogs, and Google can also serve as a medium to find a remote marketer. It’s a bit of a long shot, though – don’t say I didn’t warn you. The reason for it being a long shot is again time. If you have built already a big network of followers, you will have a better chance. If you don’t, it will take you more time and extra effort to find the remote marketer you need. The professional social network LinkedIn is more than a pool of online CVs. There are groups by interests that you can use to your benefit to find a remote marketer. If you are paying for the Premium feature, you will have a pretty heavyweight search functionality, that will allow you to look for marketers with a specific skill set in a particular industry or location. Additionally, you can use LinkedIn’s own platform ProFinder. It aims to connect freelancers and contractors with companies looking for marketing, design, IT services and many other fields. You might want to give it a try as well. Twitter is the place where 99% of all marketers hang out. In addition to seeing how active they are and what they are posting about, you can actually develop a relationship with them long before you attempt to hire them. It is also a great tool for searching for marketers. The search function on Twitter is quite strong. You can, for example, look for the keywords “marketer”, “freelance marketer” or “remote marketer”. You might want to expand as well with adding the words “digital”, “SEO”, “display” etc. Go through the profiles and read the original tweets. Also, skim through the retweets and conversations with other tweeps. Although Facebook profiles are mostly private, Pages are not. A good online marketer will have one. This is an opportunity for you to follow and get in touch with her, just like on Twitter. There is this wonderful guide on “How to use Facebook Ads to find and recruit new employees” on Search Engine Watch. It will take you through the steps of setting up a Facebook Ad and give you a bit of perspective. Good marketers have blogs. Subscribing to RSS feeds of personal marketing blogs is a good idea. Reading them or at least skimming the content on regular basis, too. Blogs will most definitely help you do background checks on applicants, too. Be sure to check whether the candidate has one before interviewing her. Go through it and read a few posts, so you can get a good feeling about the applicant’s capabilities and persona. Google is the Search Engine. One can literally find everything on it. Why not a remote marketer for your team? It is a bit of a long shot, though. Searching Google for one might prove as a very time-consuming task, with a questionable outcome. Better use it for background checks. Don’t forget to post the job ad in the career section on your business’ website. There are remote marketers out there, who would love to work with you. Give them an opportunity for a payoff of their regular visits to your website. Finding the best digital marketer for your team is all about sorting and attention to detail. Since marketing is one of the most popular educational backgrounds nowadays, you will probably receive a large number of applications. A well-structure approach to their assessment is a must. You need to create a system that will allow you to go through the applications with the best outcome possible without wasting time and too much effort. There are 150 applications in your mailbox and you make it a goal to go through them in a morning. You start with the most recent one and read one by one until you reach the 30th application. At this point, all applications start looking the same to you. Why? Because you had so much information intake that it is hard to tell one candidate out of another. And since you cannot afford the budget big enterprises spend on complex hiring solutions that allow filtering and sorting based on a set of keywords and other parameters, here is what you can do. Do you remember that well-thought job description featuring all needed skills and qualities the remote marketer should have you have come up with in the very first step of this guide? Here it comes into play again. Highlight the absolute must-haves described there and line them up in a checklist. Then start benchmarking the applications against the checklist. These must-haves might be previous experiences with CRM, Growth Hacking, Social Media Advertising, being fluent in French, or knowing Google Tag Manager inside-out. Separate the applications that match your criteria from the ones that do not. And take it from there. Create a Trello board and use Zapier to automate the inflow of applications. This a pretty straightforward method of keeping track of the recruiting process and making sure that everything is in one place. To put things into perspective and clarify the process for use, this is a screenshot of how we, at Hubstaff, do it. You will be able to find a link to it in the resource bundle, as well. In case this is the first time you learn about Zapier, do read this guide to learn more about how to automate recruiting tasks. Show some appreciation for the time and effort spent to all the unsuccessful candidate by contacting them and saying Thank You. Apart from being the decent thing to do, it also leaves the unsuccessful candidate with more respect for you and time to focus on looking for employment elsewhere. Now that you have thanked the unsuccessful applicants, it is time to spend some quality time running a background check on the successful ones. Start by doing a simple Google Search on the applicant’s name. If she is a good one, there will be a number of search results – social media profiles, personal website, blog posts, previous work examples etc. A great marketer takes good care of their own brand. A primary sign for one is his online properties ranking highly on Google. Don’t forget this! Discrepancies between the provided CV and their LinkedIn profile. Are there any endorsements from colleagues or evidence of what kind of a person the candidate is? If yes, read them thoroughly. How does the applicant behave on social media? In particular, are they tweeting about their previous employers and in what regard? How well represented is the marketer online? If she can brand herself successfully online, she will probably do a good job for your business in that regard as well. Learn more about the companies and clients the marketer worked for previously. These steps will help you narrow down, even more, the list of candidates and prepare you well for the next step – interviewing candidates. Interviewing a remote marketer is a bit different from the way you interview for the other positions on your team. You will be checking core competencies, as well as soft skills that match the profile you are looking for. In order to make sure you will be judging the interviews with all chosen applicants in a similar manner, you will need to set up a list of questions and scenarios prior to the interviews. This will bring structure to the process and make it easier to compare candidates. Ask the applicant to introduce herself in no more than 5 minutes and jot down the most important information. Pay attention to whether she is “reciting” her CV or bringing more detail to already stated experiences. Attest her core marketing competencies, as well as her soft skills, ability to work independently, and turn out good quality output. This can be done by asking both behavioral and qualitative questions. For example, asking the applicant how would she approach solving a certain problem within the team, or react to a negative comment left on Facebook. Allow the candidate to ask questions whenever she feels she needs to. The same goes for you, too. At the end of the interview, wrap up by thanking the remote marketer for her time and clearly laying out the timeframe for the process ahead. The word “remote” in “remote marketers” suggest that most likely you and the applicant will not be in the same geographical location or even the same time zone. In this case, Skype, Google Hangouts, Apple FaceTime and other online tools offering video conferencing features, are your best option. Video interviews offer you a chance to see how the remote marketer behaves during an interview, her immediate surrounding and comfort using this type of communication. Be sure to allocate enough time for the interview to not be disturbed by people knocking on your door or your phone ringing. This will keep you focused on the interview. Ask all questions aiming to clarify any discrepancies between the applicant’s CV and the background research you did while filtering the candidates. Be sure to write the explanations down for future reference. Additionally, ask the remote marketer to solve small cases closely related to her possible future duties. Her approach, chain of thought, and core marketing competencies will be clearly exhibited during this exercise. Most importantly, be well prepared. Chances are that the remote marketer would have done her research and preparation for the interview. You wouldn’t want to come off as disrespectful and miss on a great remote marketer by not doing your homework. Try to narrow down your choice to two or three applicants that impressed you the most. Then do more detailed background research and revisit your notes. If you need another interview, just ask them to talk again. Settle for the remote marketer you think will fit your goals and team the best. General behavior during the interview. Compare your notes with the CVs of the applicants you have interviewed and put aside the ones you think are the best fit. Contact the ones who did not make the cut and thank them for their time and effort. If you need a second interview to determine which of the best remote marketers you want to hire, arrange it. Dig deeper and make a decision. Sometimes it is not as easy as it sounds, but the goal is for you to hire a great remote marketer. Don’t waste time, make a decision, offer the job and agree to the terms of employment. Then get to work. Managing remote marketers is unlike the way you manage in-house team members. Since digital marketing is very goal and data-driven, benchmarking against time spent, sales made, or effectiveness in creating reports will not work that well with them. Think of the remote marketers more in the direction of your technical employees. Goals and results achieved should be your benchmark. Micromanagement as a style does not really work well with remote marketers or any remote workers for that matter. Very often in their work, marketers have to adjust a Google Adwords ad performance, a newsletter scheduled to go out in 30 minutes, or A/B test copy of your conversion page. Decisions need to be taken on the spot, without the ability or the time to contact someone who is most likely in another time zone. Agree and set up a reporting process for major projects and actions. These could be status reports on Social Media accounts, Google Adwords and Facebook ads performance, or newsletter stats. Agree on the reporting schedule that you and the remote marketer are comfortable with. Daily reports take too much time and effort to prepare and they are generally not that useful. Use them for big marketing campaigns, when you are making a big push that requires constant monitoring, analysis, and optimization. Define and agree on metrics and KPIs (Key Performance Indicators). These will help the remote marketer be clear on how her performance will be benchmarked. On another hand, you will be able to calculate ROI (Return on Investment) with some of these KPIs and metrics. Own all the accounts you have on social media, advertising, and analytical tools. Grant the remote marketer admin rights, so she can do her job. And do check the accounts from time to time to make sure there are no issues. The accounts should always stay with you, in case you part ways with the remote marketer. Always be clear on goals, milestones, and expected time needed to complete a task. Discuss your expectations with the remote marketer, hear her view, and agree together on the timeframe. You and the remote marketer will be working in different locations. Maybe in different time zones, as well. Your work together will be made much easier, if you employ some online tools and platforms to help you create a good structure and keep your eyes on the projects at hand. Setting up an online project management platform account is probably the first step you should take. 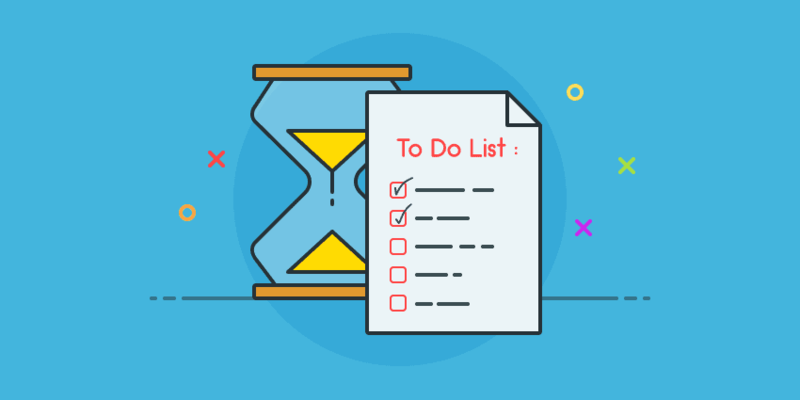 Basecamp, Asana, and Trello are some of the best ones out there that will help you keep track of project progress and communication. Cloud storage applications, such as Dropbox, Google Drive, and One Drive, will keep every report and proof of work done in one place. These are not expensive and some even provide a pretty large available space for free or as part of using another product (Microsoft Office subscription provides 1.03 TB of free space on One Drive). Time tracking apps like Hubstaff will give you the ability to closely monitor and analyze remote work and productivity. Hubstaff goes even farther than simple time tracking. It also gives you the opportunity to automate payroll to your remote marketers. Hubstaff runs in the background and takes screenshots of the current work. This helps to build trust between you and the remote marketer. In case you want to read more about tools and platforms employed in managing remote teams and projects, read 8 Best Tools for Managing Projects in a Remote Team. Ready to hire a digital marketer? Hiring a remote marketer might seem to be an exhausting task. It is, however, very much worth your time and effort. After all, you want to hire the best remote marketer for your business. Following this guide will shave off some obstacles and confusions you might have. It will also bring structure to your recruiting process and help you get through the different stages. You can consult with this post at any point. 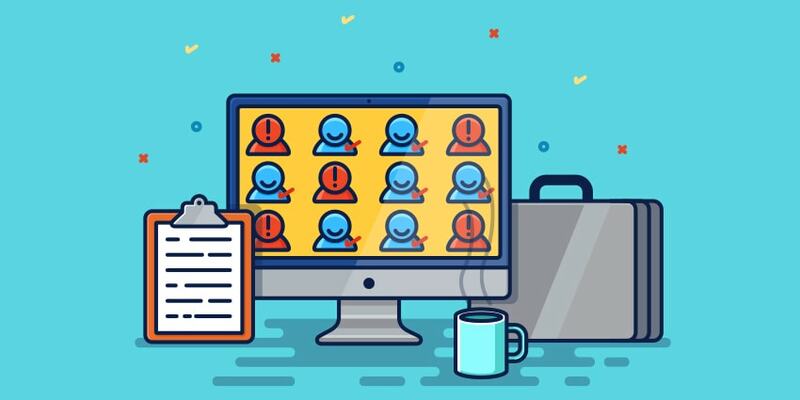 If you want to dig deeper into hiring and managing remote teams, you might find these comprehensive guides and strategies useful.